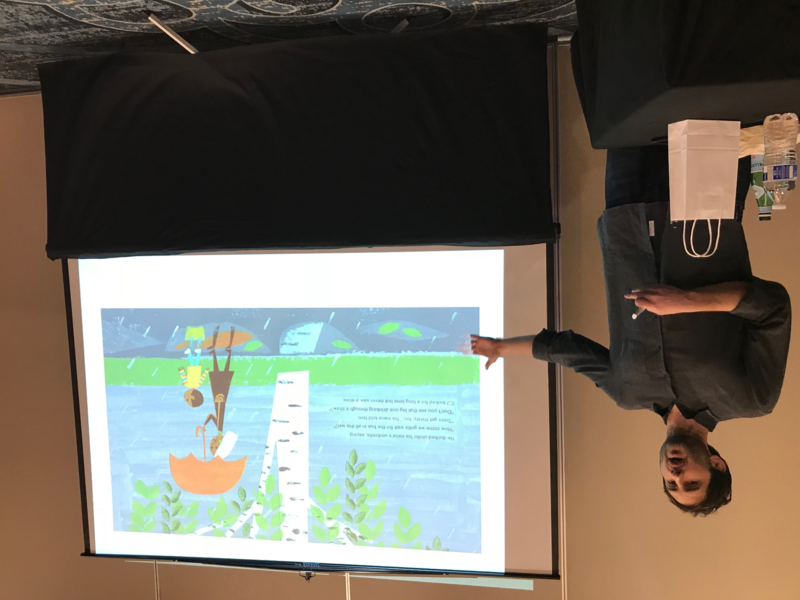 I’m still reflecting on everything I learned and experienced at this year’s South Carolina Association of School Librarians Conference, which featured wonderful speakers and fascinating authors and illustrators. My thanks to the conference steering committee, our SCASL officers, and the local arrangements committee for a fantastic conference! 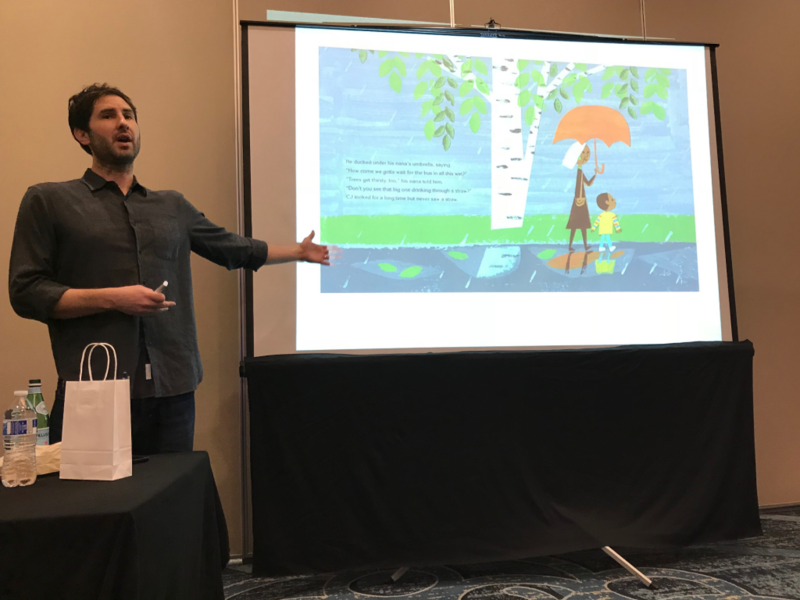 Hearing Matt de la Pena read his Caldecott award-winning book LAST STOP ON MARKET STREET and talk about engaging reluctant readers was a highlight of the conference for me! Later on I’ll be sharing more details about what I learned, and some of the new ideas I’m implementing in my library, but for now I’ll just post a copy of the report I created for my principal. I wanted to give her a quick overview of the sessions I attended and my top take-away’s from each, so I created a google slideshow for my recap. If you have published notes or a reflection on the SCASL 18 conference somewhere online, please share a link in the comments or tweet me @LibraryLoriJune. You can also search twitter for #scasl18 to see what attendees have been tweeting about! Hooray! 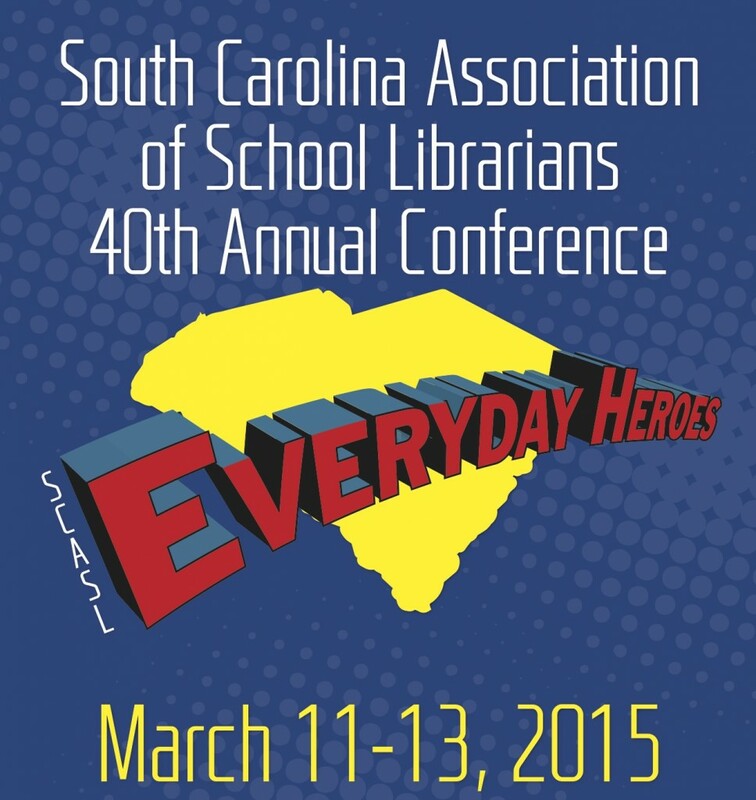 Tomorrow is the first day of the annual S.C. Association of School Librarians (SCASL) Conference! 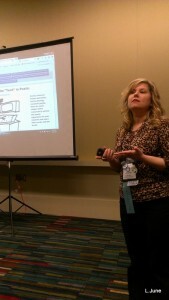 And most importantly, learning from my fellow South Carolina school librarians who are in the trenches every day! If you’ll be at the conference, leave a comment here or tweet me @LibraryLoriJune and let me know! Whooo hoooo! I’m looking forward to attending the South Carolina Association of School Librarians (SCASL) annual conference this week in Columbia, South Carolina! Our theme is Leadership @ Your Library and we have some great speakers lined up including Ann M. Martin, author of Empowering Leadership; and Gail Dickinson, the current president of AASL! I’m also excited about presenting a session this year titled PUTTING THE “TECH” IN POETIC. I’ll be sharing lots of online poetry resources, as well interactive tools that will inspire students to write and share poetry. We are using Edmodo at the conference this year, but I can’t post my group code online since it’s just for attendees. However, all of my resources can be found in this Poetry LiveBinder which I’ve made public so that you can add it to your own collection of Livebinders and edit it to suit you. Lori June presenting “Putting the ‘Tech’ in Poetic” at SCASL 2014. I’m planning to “tweet the conference” using #SCASL14, but sometimes it’s hard to listen to a session and tweet it at the same time, and sometimes the technology just doesn’t cooperate. We’ll see how it goes! Another S.C. Association of School Librarians (SCASL) conference has ended, and as always I’ve returned home revitalized and brimming with ideas for my own elementary library. I’m so fortunate to be able to attend all three days of the conference each year, and to stay in one of the conference hotels rather than driving back and forth each day. I do a great deal of personal professional development via the blogs, journal articles, Twitter conversations, and webinars that I routinely read/participate in, but there is definitely a place for attending a face-to-face conference as well. Getting away from the daily bustle of school and family life gives me breathing space to reflect on what I’m doing in my library program, why I’m doing it, and how I can improve on it. I have uninterrupted time to think and plan, and to discuss ideas and brainstorm with other librarians who are passionate about what they do. Speaking of Twitter, this year I experimented a little with tweeting the conference. (I tweet as @LibraryLoriJune if you’d like to follow me. Look for #SCASL13 to see all the conference tweets.) It was fun, but I found that it was distracting me from the presentations a little too much — I guess I need more practice listening and typing at the same time! The good news is that we used Edmodo this year to create groups for each session and keynote speech, so I’ll be able to go back and review the presentations posted there to catch up on anything I might have missed. I’ll be sharing more about the specific sessions I attended, but for now I’d just like to give a big shout out to our conference steering committee members who planned all the individual details that added up to a fantastic conference experience! I’m already looking forward to next year’s gathering! If you’ve been following my blog, you know that a few weeks ago I created a Delicious account and imported all the bookmarks from my home computer, then spent many hours tagging them. If you’ve seen some of the comments I’ve posted to others’ blogs, you also know that a week later, when I tried to access Delicious from my school computer so that I could import and tag all of those bookmarks, I was horrified to find the site blocked. I immediately sent a pleading e-mail to our district technology coordinator requesting that the site be unblocked, and I found out yesterday that my request had been granted! Whew! 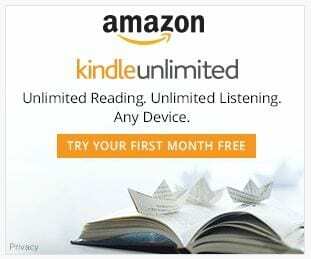 I discovered Delicious just as I was beginning to realize what an inconvenience it was to have two separate sets of bookmarks, one at school and the other at home, so I was immediately attracted to the site as a way of solving a personal problem. Now that I’ve explored it further I am seeing the value of Delicious as a networking tool as well, and this is where the real shift in thinking is occurring for me through the SCASL 23 Things program. After all, throughout my entire career I’ve adopted tools to make my job easier, whether it be something as low-tech as a subscription to a professional magazine, or as high-tech as a computerized cataloging and circulation system, so using internet resources to help me do my job better is really nothing new. 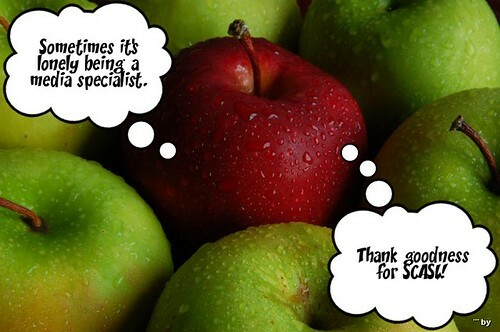 It’s the interaction, the ability to connect with other educators to share and collaborate and create that makes Web 2.0 so different and so valuable. I’m not just working in isolation, passively viewing and adopting the work of others, but rather I’m responding and discussing and contributing to the common good. That’s the power of a network! So, I’ve added SCASL to my Delicious network, along with another user who also seems to be collecting school librarian-type websites. From now on, I will certainly be more aware of which of the bloggers I follow are sharing their sites through Delicious so that I can check them out as well. I know now how take a look at the most popular sites on Delicious, and when I’m researching a particular topic I can do a quick tag search to see what websites others are finding useful. And I’ll be sure to share what I find, too, to keep the circle going. Stage 3 Know It All: Find that you are spending many hours trying to learn everything you can. Realize there is much you do not know and feel like you can’t disconnect. This usually comes with spending every waking minute trying to be connected to the point that you give up sleep and contact with others around you to be connected to your networks of knowledge. Well, I realized last weekend that in exploring the SCASL 23 Things this fall, I had definitely followed this path up right up to Stage 3, and it wasn’t good. I was feeling totally overwhelmed by how many tools were out there just waiting to be discovered, and I was despairing of ever mastering them all. Suddenly it seemed appropriate to revisit that blog entry in search of some perspective and balance. As I scrolled down and began to read the comments on Jeff’s post, certain sentences began to jump out at me. The first commenter said, “I find that a number of people will reach Stage 3 and then decide that it is all too much and drop their PLN altogether.” Hmmm, others must experience that feeling of “so many tools; so little time,” too. The second comment was even more to the point: “Somewhere between Stage 3 & 4, if we hope to make it to Stage 5, we must first admit we have a problem. That’s what it feels like–an addiction that can consume us. I’m glad to hear someone else’s spouse is fussing, reminding him that life does exist beyond the keyboard and glowing screen. ” Wow, I’m not the only one experiencing this determination to learn everything about 2.0 or fall asleep over my computer at midnight trying! Obviously it was time for some Stage 4 Perspective! According to Jeff, this usually occurs when a user is forced to leave the network for some reason. Well, with no vacation, computer theft, or extended power outages in sight, I just had to give myself a time out. I took last week off and, except for whatever e-mailing, etc. had to be done at work, I stayed completely away from the computer. I read no blogs, listened to no technology podcasts, played with no new flickr toys, and created no new web accounts. It really wasn’t as hard as I thought it would be. In fact, as much as I have been enjoying these learning exercises, it was actually a bit of a relief to devote my evenings to something other than the computer for awhile, which is probably a sign of impending burnout. Remember earlier in this post, when I said I was despairing of mastering all of these tools? Well, I’ve realized I don’t have to master everything, and certainly not immediately. My attitude should be that I’m surveying the web, sampling from the 2.0 buffet, not loading up my plate and stoically eating my way byte by byte through it all. My goal now is to be a more thoughtful user of Web 2.0, putting more time into the activities that are meaningful to me, rather than spreading myself too thin over a larger number of applications. After all, by beginning with the end in mind (remember the 7 1/2 Habits?) I can always go back and learn what I need to learn, when I need to learn it, for any project I might care to undertake. And that’s surely the path that will lead to Balance.